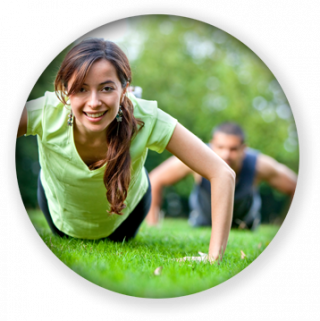 healthpro Bootcamp is a dynamic outdoor exercise programme suitable for participants of all abilities who like a bit of adventure with their fitness! Utilising our purpose-built outdoor fitness area and the rugged terrain of the beautiful Howth peninsula, our Bootcamp instructors motivate participants to fabulous functional strength, endurance and fitness. Courses comprise weekly Wednesday evening (19:00) and Saturday morning sessions (10:15), over a duration of 10 weeks, with a strong emphasis placed on fun and enjoyment, whatever the weather!